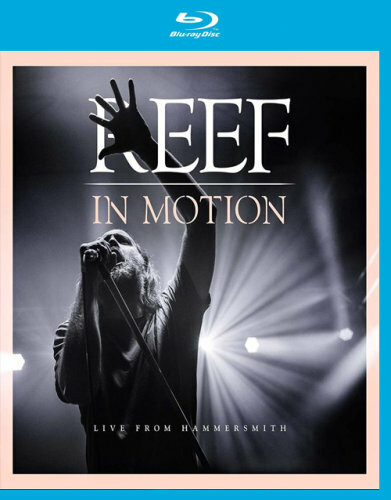 Description: In 2018, Reef released their stunning album “Revelation”, the first in 18 years, and are now continuing their comeback with the live album “In Motion (Live From Hammersmith)”. The show was recorded on May 6th at the legendary Hammersmith Apollo in London as part of the “Britrock Must Be Destroyed Tour” (amongst other 90's britrock legends like Terrorvision and The Wildhearts). This energetic show is a mix of classics such as “Naked” and “Summer's In Bloom” and new songs from the highly acclaimed comeback album “Revelation” - including the title track, the heavy rocker “Precious Metal”, and the gospel-infused smash hit “How I Got Over”. A welcome chance to turn back time and remember some sing-along classics from yesteryear while enjoying the present and future of one of Bristol's finest! 12 - Don’t You Like It?